Zoey and Naomi are in bed, asleep. We’ve had six weeks of this and I still can’t believe it. We are actually using the baby video monitor that I honestly thought we’d never use. 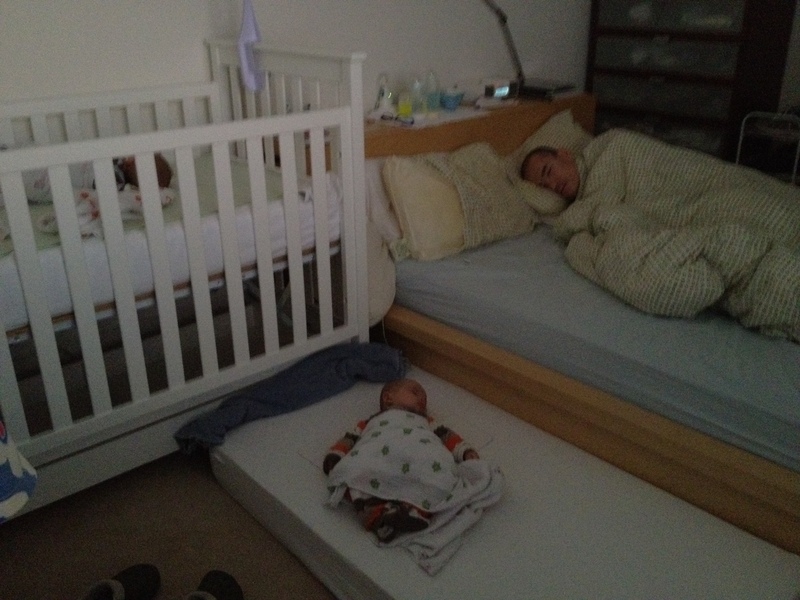 I envisioned that they would forever be sleeping in their bouncy seats next to the sofa or next to our bed. It took us a good month for us to stop prepping for night feeds. 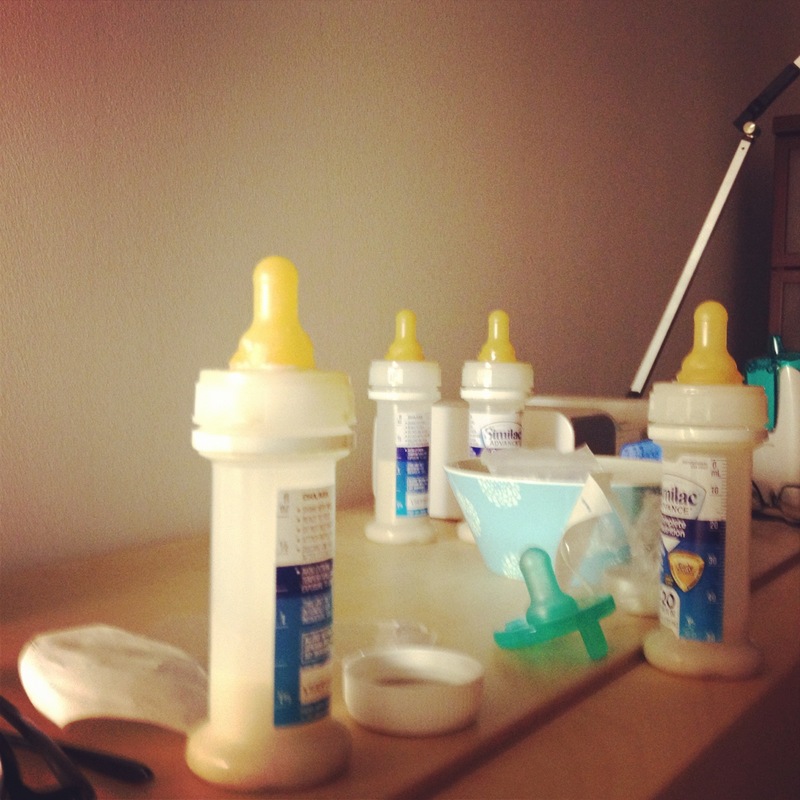 We no longer sleep with bottles filled with water, and measured out formula on our nightstand. Sure there has been a few times when we’ve had to duck into the kitchen to make a bottle to put a girl back to sleep but there has been many more nights where they sleep through till morning. The days are also getting easier; mainly because they are now chugging down five 6oz bottles between 7am and 8pm. 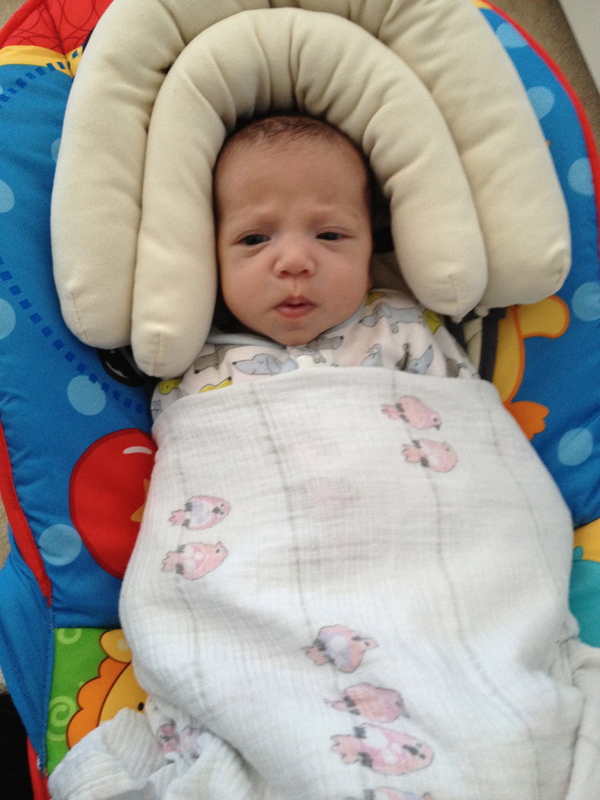 Ten feeds a day is so much more manageable than say twenty plus. So much so that I no longer cyber stalk Alex’s movements through Four Square and Find Me, and countdown to him coming home. In return Alex is also no longer greeted by two screaming babies being thrust in his general direction whilst I curl up into the fetal position on the couch. Whilst they aren’t feeding or napping at set times there is a rhythm and a flow to the day, and most importantly much less crying. They are wearing 6-9 month clothing (Naomi leaning more towards 9 months), and have just graduated size two diapers. 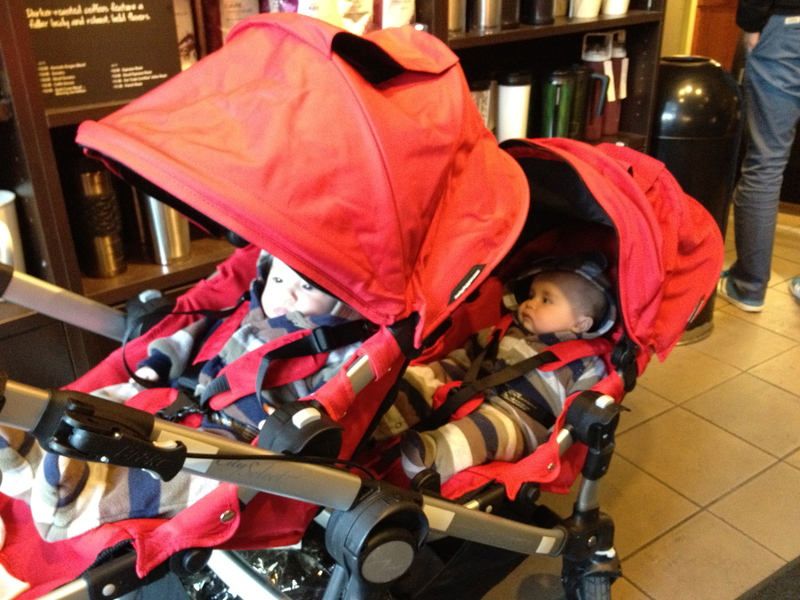 At the weekend we started using the regular stroller seats. They look so grown-up, and Naomi just loves not being squished into the car seats and being able to sit up properly. They really are big girls now.